Vance is the firm’s senior litigation partner. With over 30 years of litigation experience – nearly all of which has been in the area of employment law – Vance has litigated hundreds of employment lawsuits. Since the early 1980’s, Vance has represented every South Carolina Governor, regardless of political affiliation, in employment matters. E.g., Rose v. Beasley (S.C. 1997); Sloan v. Sanford (S.C. 2004). 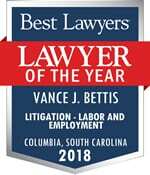 Vance has been involved in some of the most important employment-related cases in South Carolina, including successfully defending two class action lawsuits that each sought against the State damages in the hundreds of millions of dollars. Anonymous Taxpayer v. South Carolina Dept. of Revenue (S.C. 2008); Ward v. State (S.C. 2000); see Alston v. City of Camden (S.C. 1996). In addition to representing public employers, Vance represents numerous private employers in employment cases – discrimination, wrongful discharge, handbook issues, and employment-related torts. A certified specialist in labor and employment law, Vance has handled hundreds of discrimination lawsuits and charges. He has argued more than 50 times before South Carolina’s appellate courts and has handled some 40 appeals before the Fourth Circuit Court of Appeals. Vance is a graduate of the University of South Carolina School of Law and received his L.L.M. in labor and employment law from Georgetown University School of Law. He served active duty in the United States Navy JAG Corps and was a Commander in the United States Naval Reserves until 1995. 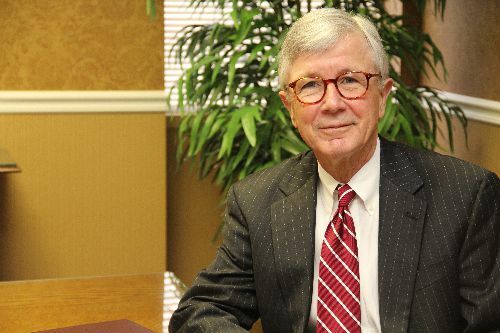 Vance received the Order of the Palmetto from Governor Riley for his service as an Assistant Attorney General for South Carolina from 1981-84. A native South Carolinian, Vance was born in Charleston. Vance has served on the Columbia YMCA Board of Directors and currently serves as the Board’s president. Disclaimer: The materials on this website are for informational purposes only and do not constitute legal advice. No attorney-client relationship is created by reviewing the web site's information or by contacting this law firm. Our site does not create an attorney-client relationship and it is not intended for detailed legal advice. We are licensed in South Carolina.